Corsi was suspended from his YouTube account last week following YouTube’s efforts to enforce its community guidelines against conspiracy theories and extremist content. 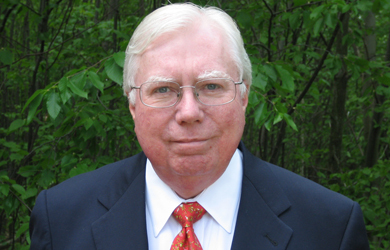 When YouTube dropped Corsi’s ban and granted him access to his account days later, he resumed his new habit of spending hours every day in a live stream chat room espousing baseless conspiracy theories while attempting to decode the anonymous postings of “Qanon,” an anonymous author on an 8chan forum board, who conspiracy theorists believe is a member of the Trump administration. “First of all, we don’t know much about who this guy was. Was he on drugs? Was he psychologically disturbed? Was he under medical treatment? Was he an MK Ultra potential?” Corsi mused. One chat participant asked why the man who killed himself had shot his cell phone, to which another participant responded that the CIA’s MK Ultra mind control experiments in the 1950s had supposedly proved that cell phones—which were not invented until 1973—could be used for mind control. “The first thing that occurred to me with shooting the cell phone was the cell phone told him to do something, so he first wanted to kill the cell phone,” Corsi said. Another participant said the situation sounded like the “Jason Bourne” movies, before apparently cracking open a beer can.